White satin drape as a backdrop for head table, stage or other area. Drapery is 8' high with lights hung behind the drape. 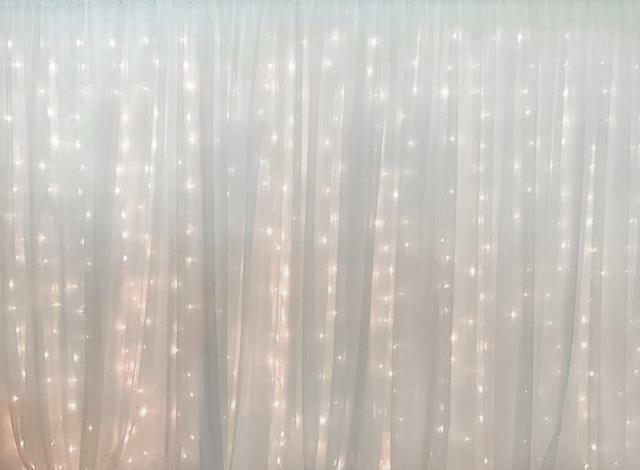 * Please call us with any questions you may have about our satin backdrop w/lights 16 foot long rentals/sales in State College, serving Central Pennsylvania.